Eat at Culvers on 4/29. Tell them you are there for the OPRF Alliance fundraiser and a % of your meal will go to Alliance! 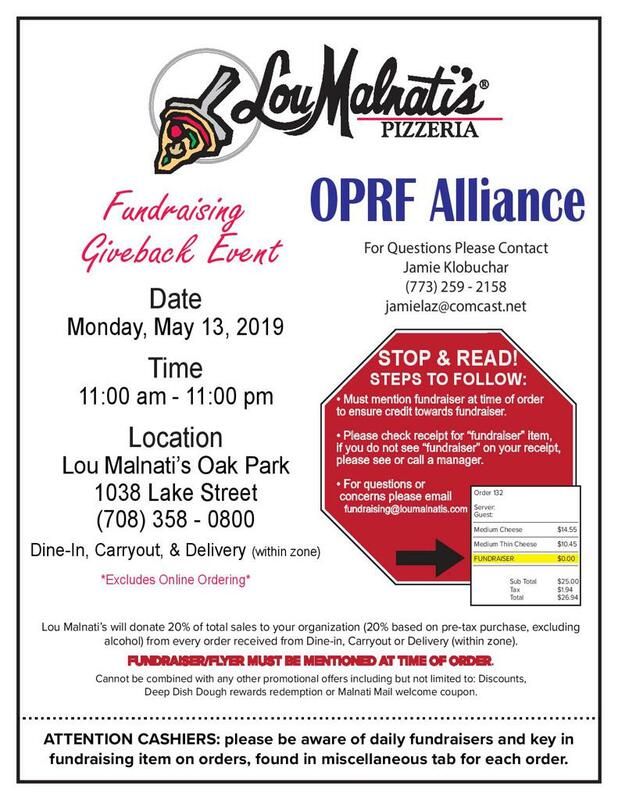 Eat at Lou Malnati's on 5/13. Tell them you are there for the OPRF Alliance fundraiser and 20% of your meal will go to Alliance! See flyer below. Register here for summer clinics! Register here for high school tryout preparation for high school boys!